Confession time: I have not so great skin. It is quite oily and--even in my late 20's--full of imperfections. I have worn Laura Mercier's Translucent Setting Powder for years to help keep my skin matte, but when I heard the promises that the new NARS Light Reflecting Setting Powder (available in both a pressed and loose version) made, I knew this was a product I had to try. It seems to have popped up on Sephora.com either late yesterday or early today, and is quickly making the rounds in the beauty blogging world. NARS describes the powder as "a weightless, translucent powder for all skintones that creates a soft matte finish that looks luminous in any light. 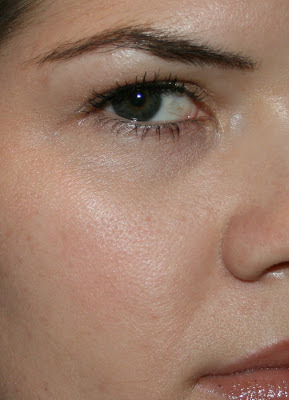 "It's light diffusing qualities are meant to blur fine lines, wrinkles, and (most importantly for me) the appearance of pores--and it is meant to do this without adding any color to the skin. And it is supposed to help you avoid the dreaded flashback face in photographs. As I am heading off to Mexico tomorrow for my sister's wedding (which will involve a lot of pictures) this powder's arrival at Sephora could not have come at a better time! I had my heart set on the pressed powder, since that is what I have seen the most reviews of, but my local Sephora only had the loose powder. And it was not even out on display--I had to ask one of the sales associates who kindly brought me one from the back (and told me that I was the first customer to buy it in that store!) Moral of the story: ask your sales associate if you don't see it out and the stock checker on Sephora.com is often oh-so-wrong. After making my purchase, I raced home and immediately applied it with a large fluffy brush. Unfortunately, in my haste I did not take any 'before' pics, so you only have the 'after' to look at. 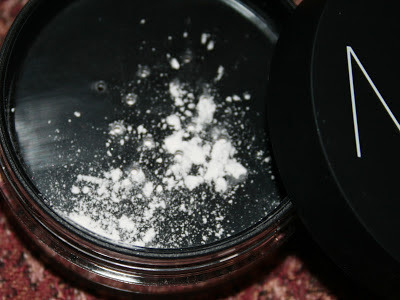 What I will say about it is that I was incredibly impressed--I've used my share of powders, both pressed and loose, over the years and I absolute despise those that look cakey and powdery on the skin. I want a powder that makes it look like I am not wearing one, and this does exactly that. Plus, it very noticeably diminished the appearance of my pores, especially on my cheeks where they are the largest. It doesn't seem to be working miracles in terms of mattifying, but I think I will use a more traditional powder on my oiliest points (forehead and chin, for me) and use the NARS Light Reflecting Setting Powder across my nose and cheeks, where my pores are largest. 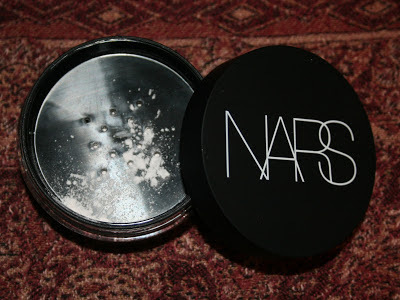 This powder isn't a miracle worker--what product is--but I think it is definitely worth heading to your local NARS counter to have a good look. NARS Light Reflecting Loose Setting Powder available at Sephora for $34.